This is an excellent product and so far the company has been great to deal with. Well done, nice and users friendly extension. You can play with that using your imagination. Btw: great support, helped me out with some issues. Very professional banner and administration... review by Michael B. This extension is a must have if you intend on adding banners to your site. 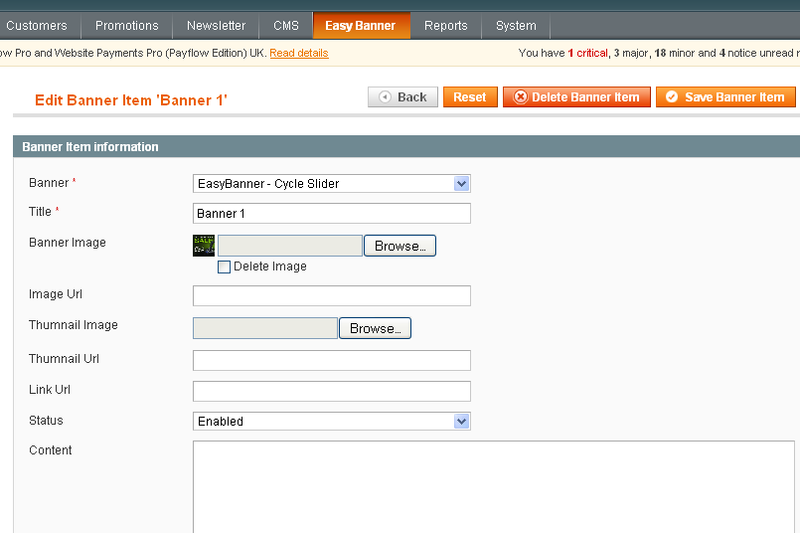 I've tried other extensions...but Hello Magento's "easy banner" is the best. You can easily add as many new banners as you want all over the site.. in a very profesional looking way. The support from Hello Magento was fast and very helpful. 100% recommended. 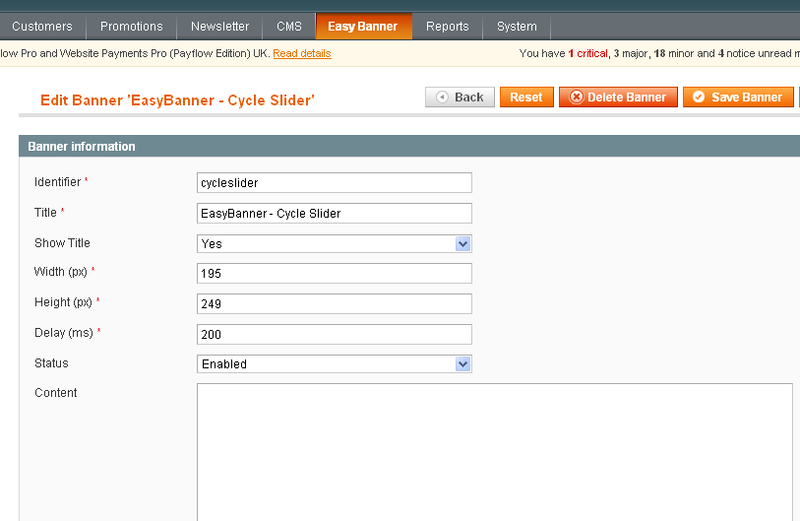 2, Go to Admin, and making sure that the cache have been cleared then you will see the tab Easy Banner in admin panel. Select Show Title is YES if you want the title of Banner will be showed. 4, After you created an Banner, please go to Easy Banner -> Manage Banner Items and add new Banner Item. you need to select banner that you created step 3. Upload Thumnail Image or You can enter URL of ThumnailURL( Thumnail URL just is used for gallery view mode). Enter Link URL if you want to be clickable in Banner slide show to some link. Note:You can add any number of Banner Items. Note on Magento 1.4: When you call block in the CMS page, you should hide editor in the content.